#1 Seller of Crystal Chiavari Chairs since 2002. Call for Local References in your area. 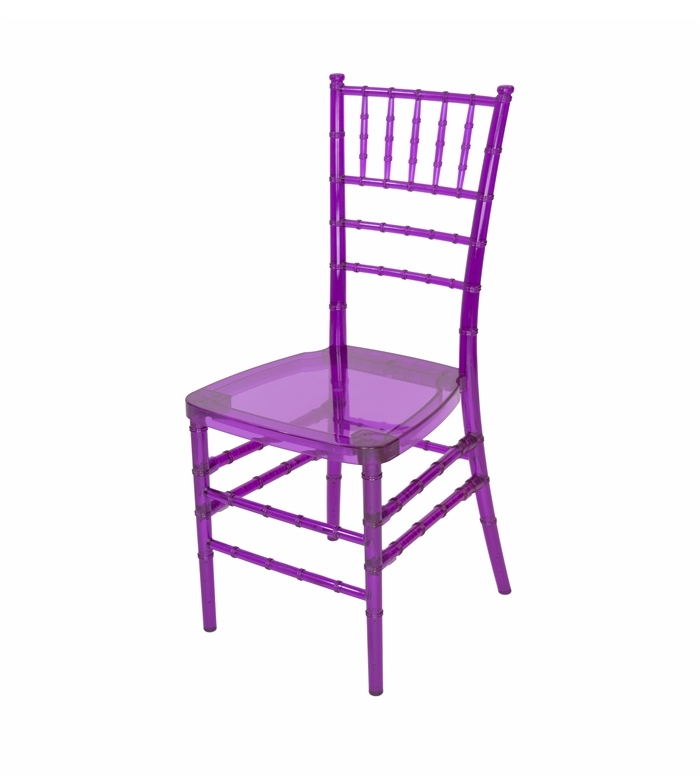 WHOLESALE CRYSTAL RESIN CHIAVARI CHAIR Features: Meets or Exceed ANSI/BIFMA Safety Standards, 1,000 lb Capacity - 3 Year Warranty. 100% Premium K-RESIN for long life, Maintenance free, Special Non-stick & anti-static treated for easy cleaning, UV protected to prevent fading & discoloration. Resin Chiavari Chairs are Perfect for Outdoor/Indoor events, Free 2” Soft Cushion, Wholesale Discount Prices since 2002, Chiavari Steel Core Resin Chairs.